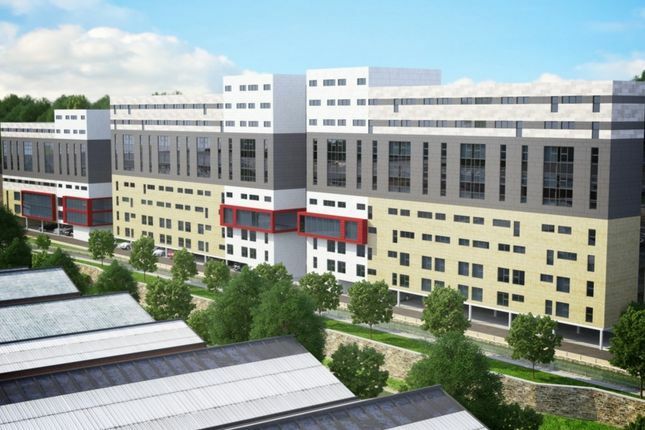 Standing at the heart of Huddersfield's Waterfront Quarter, Crane Court is this growing university town's latest student accommodation development. Following on from the success of Kingfisher House and Cormorant House, Crane Court is located within close proximity of both the University of Huddersfield and Kirklees College, offering high specification student studio apartments to the town's 48,000 students. Crane Court is the last phase of construction in a new purpose-built student accommodation development, this ten-storey building will offer students in this growing university town 252 excellent self-contained studio apartments that will come complete with an en-suite shower room and a kitchenette. Crane Court will also have a range of excellent communal facilities including it Suite and media room, gymnasium, laundry, games room, dedicated study areas and a state-of-the-art cinema suite. Offering a 9% net rental return for 5 years, and a 5% interest on deposit, we expect studios at Crane Court to be in high demand, therefore we advise purchasers to register your interest today to avoid disappointment. Property descriptions and related information displayed on this page, with the exclusion of Running Costs data, are marketing materials provided by Nu:Move International, and do not constitute property particulars. Please contact Nu:Move International for full details and further information. The Running Costs data displayed on this page are provided by PrimeLocation to give an indication of potential running costs based on various data sources. PrimeLocation does not warrant or accept any responsibility for the accuracy or completeness of the property descriptions, related information or Running Costs data provided here.